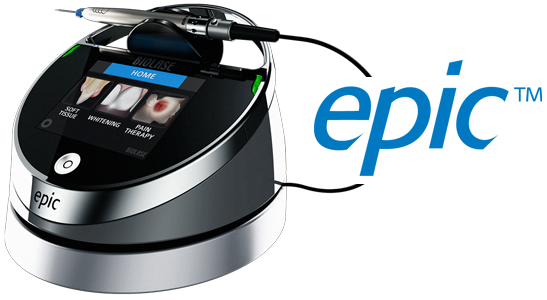 We are proud to offer the latest Diode Laser Innovation from BIOLASE for our patients! EPIC™ offers the most precise control of soft tissue cutting with way LESS bleeding for supreme patient comfort. 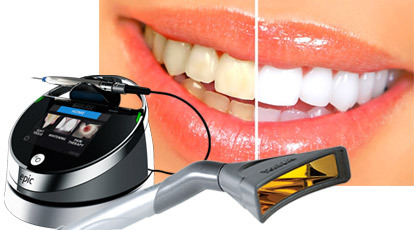 The machine can also help in relieving painful oral lesions such as Aphthous Ulcers and Herpetic Lesions, as well as performing Bacterial Reduction Pocket Therapy" for gingival and periodontal diseases. EPIC™ is the ideal teeth-whitening solution that can brighten teeth up to 8 shades in only 20 minutes of treatment time! This is FASTER than any other in-office whitening system and will result in way LESS sensitivity than older systems. 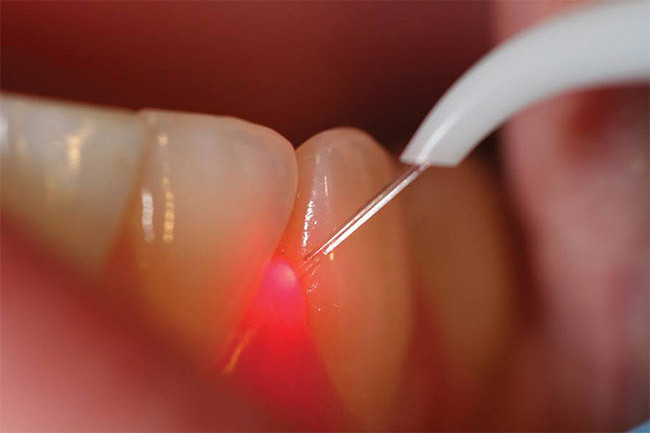 One of the most promising aspects of laser dentistry is the opportunity to do more with LESS anesthetic, and less damage to the tissue. EPIC™ delivers on that promise with ComfortPulse, a proprietary innovation that delivers precisely controlled micropulses of diode energy to the tissue, followed by “down” time to allow tissue to RELAX and respond positively to laser treatment, resulting in improved patient comfort, less damage to surrounding tissues, and better HEALING. With EPIC, patient comfort is truly a reality. If you want to know more about Biolase EPIC™ and its treatment options, give us a call today.